We believe that the flat-footed basketball player is subject to the same injuries as the rest of us. It is just that the burden is more on the Flat-footed player due to the genetic “luck” so to speak. The weight of the body is transferred on both feet in an awkward manner. That is why players with Flat feet complain a lot. The key to avoiding injury from our perspective is staying within the tissue tolerance and gradually increasing activity to strengthen the tissues that may be at jeopardy. We should automatically take pause and appreciate what Steph Curry has brought to the NBA global market. That is Under Armour. He has transcended the brand into new heights in terms of basketball sneakers. UA is one of the most friendlier basketball shoe brands that treats and reaches out to all kinds of players, such as players with flat feet, wide feet, weak ankles, etc. So, how are the ClutchFit Drive 3s unique? They are perfect for flat footed athletes. Synthetic material always gives you the basic luxury. Rubber Sole. Check. The updated ClutchFit technology breathes, stretches, and supports the foot better than its previous years/series. The external heel counter & internal shanks deliver stability & support. This detail is vital for flat-footed players. The achilles pillow provides additional padding & comfort around the heel. 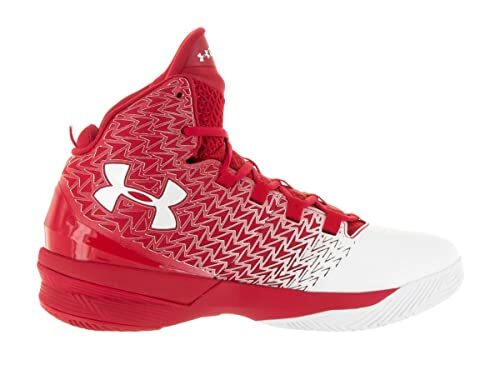 The Under Armour ClutchFit Drive 3s are available in low, mid, and various other models. Believe it or not, the UA ClutchFit also has a series for Soccer athletes, the UA ClutchFit soccer cleats. It has been well known that the Jordan AJ XXXI are the “Basketball Shoes” made for Wide footed players. Yea sure! However, they are also very much suited for flat feet athletes as well. 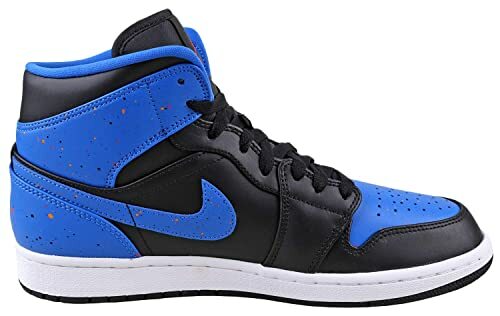 It may be difficult to find modern day shoes that suit flat feet players but Air Jordans and Nike does a good job actually in focusing on the Flat Feet market. This model highlights all the technology. Almost all is what I meant. Synthetic and Mesh? Check. Rubber Sole? Check. Check this out, a synthetic leather heel and flexible Flyweave forefoot join seamlessly. AJ XXXI. Enough said? Not yet! Flywire cables wrap your midfoot for a locked-in-fit. This is super beneficial for Flat-footed basketball players. The outsole is made of solid and very durable rubber. Performance wise flat footed players are not in the dark. You do have shoes that can help you all the way. Another Classic! 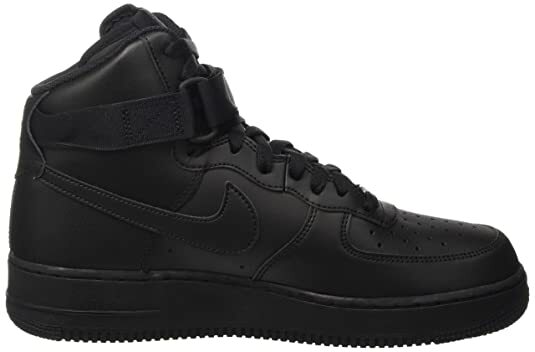 The first thing you do realize with the Airforce 1s is it is significantly lighter than the previous Retros that you might be familiar with. Yes, Nike is bringing back the retros in this era however, they are better. Not only are they suitable for flat-footed athletes, but also wide footers as well. They also give you a great traction – assuming you are a street baller. These sneakers got a good grip to it and you really can feel most of the circumference of your feet. You get the control you want. The Foam midsole with the Nike Air unit gives performance potential and style. Perforations in the upper keep the air flowing. You are in good hands with the Airforce 1s, so why are you waiting? You can play with these shoes, no doubt. The Nike Mens Air Jordan 1s are actually the Retro version. Nike is bringing them back. The Retro shoes by default are usually very Flat-feet friendly. If we would include a retro-sneaker on our list, we had to go with Air Jordan 1s. Zoom Air with the cushioning is the first thing you would notice. As a complete package they look great. Not only are they friendly or also for the flat-footed athletes, they can give you the performance that you would expect. The Air unit is encapsulated inside the solid rubber cupsole while deep flex grooves and a concentric traction pattern provide increased flexibility and traction ofcourse. So, in terms of your game and all, no adjustments needed. This is what makes retro shoes like this so special. Mixing the old school with the modern day is always a luxury. You can have that luxury today. You can get yourselves an Air Jordan 1 black, Mid, white, original, retros, and various other model and colorways. One of the best looking basketball shoes in the market today. At first glance, one may ask how this might be suitable for flat footed players. Let me tell you something, it does work. It makes us believe that the Nike Kobe 9 Elite was made strictly for flat-footed players. Yes, I would go that far in saying that. Leather and synthetic materials. It has a rubber sole. So far so good! Colorway has some variety in it as well, with the luxury twist. Black/Metallic Gold-Volt-Anthracite. Yes, you heard that right. The Kobe IXs are available in low, high, and mid tops. Oh, did I forget to mention this? Kobe IXs are THE most comfortable basketball shoes that provide elite support. Oh, nowonder these sneakers are called ELITE. Surprising that one of the leanest basketball players of all time Kevin Durant would be producing a basketball shoe that helps flat footed players. Body structure usually has nothing to do with your feet though. A lot of times it may seem like it does, but it really doesn’t. This is a great synthetic shoe. The skank material consists of synthetic and fabric. It is very foot oriented. 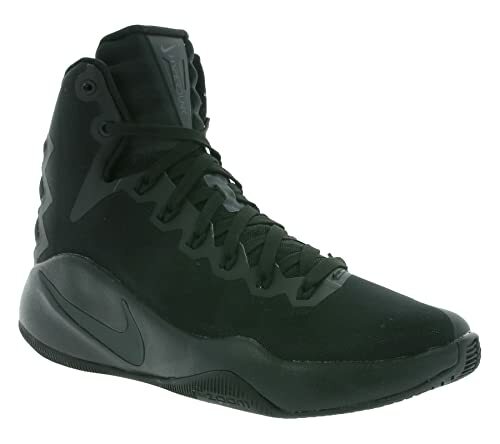 The security and design might be most perfect for flat footed basketball players. Again, unlike the retros above, we think Nike did this deliberately. We believe they are reaching out to the flat/wide feet crowd. It is great marketing when the product is worthy. And this product is worthy for you if you have flat feet. The only question would be it’s overall durability. 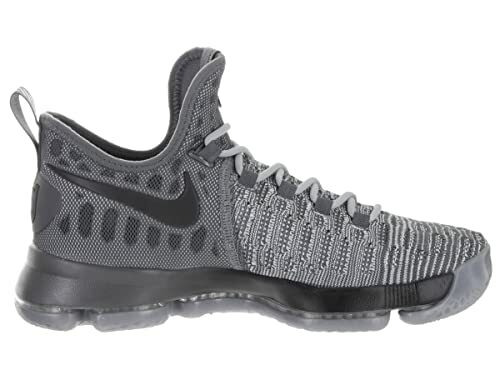 The KD 9 Elite is definitely elite but only for a strict time frame. You can the greatest performance-stretch with these, but it won’t last long. Keep that in mind. This pair has a lot of different colorways, such as the KD 9 elite gold edition, the USA edition, oreo, black, blue, red, and others. These shoes will not fail you. They look nice. They give enough support and traction. Yes, they fade away quicker than others but that is not really the concern you should be highlighting. Just don’t cherry pick anything, this pair is rewarding, regardless. One of the few Retro models you will find on our website. They are here because they are ahead of their time. Or should we say they were ahead of their time. 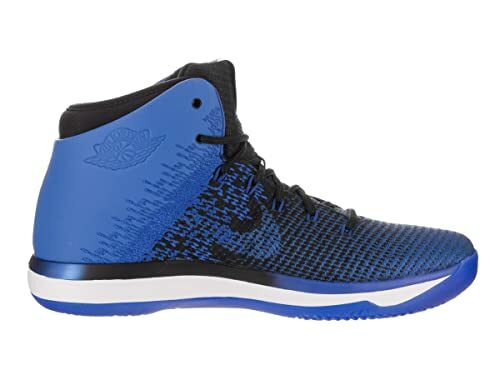 For Flat-Feet players the Nike Airforce Command is just perfect. Was this designed specifically for Flat-Footed players? We wouldn’t know, but it sure did work out. One of the most comfortable basketball sneakers in the industry. You have enough ventilation for the longest period possible, depending on its durability. Each of your step will be very easy and light. This is exactly what you need as a flat-footed athlete. You want everything to be smooth, comfortable, and easy. 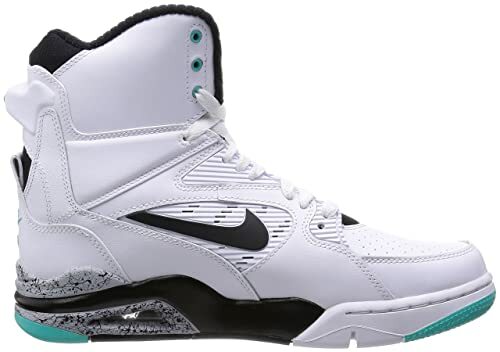 You can find a lot of different models and colors such as the Nike Airforce Command billy hoyle, Nike Airforce Command red, black, pump, spurs edition, and most importantly the price tag is just the best bargain you could get. Go get one right now! 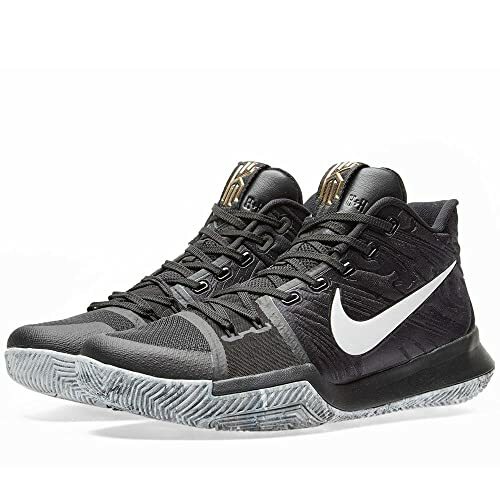 One of the first Kyrie shoes that is actually perfectly suitable for flat feet basketball players. Not only is it fitted well for wide-footed players, it covers flat feet, good for guards, and it is on the cheaper side as well. The materials and traction are going to be the highlights. Uncle Drew is actually the streetball version of Kyrie (Spoiler alert!) so by logic, Nike would naturally make the Kyrie 3s in particular street ball friendly and more importantly traction would be crisp. The materials that Nike uses here are pretty good. The herringbone sole pattern is never a bad thing. Its pretty cool to also have the signature details on the inside tongue. There are lots of different models of the Kyrie 3s, which are available in the market now. The Kyrie 3 white and gold, samurai, bruce lee edition, Kyrie 3 Celtics edition, and you also have a footlocker edition. Pretty cool right? Do not be discouraged if you have flat feet. Kyrie 3s are here for you and for you to take full advantage of! 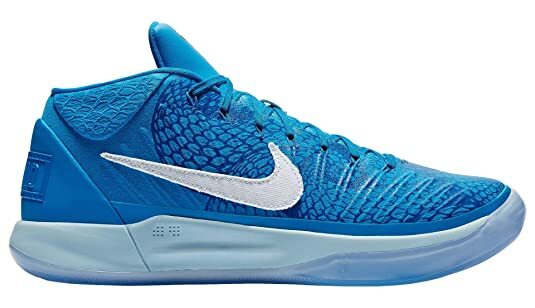 If you have flat-feet, but are still ambitious to fly high with a pair of basketball shoes but aren’t sure which one to get, because you are too concerned with feet safety and will it hurt on the landing? Well, don’t look any further. 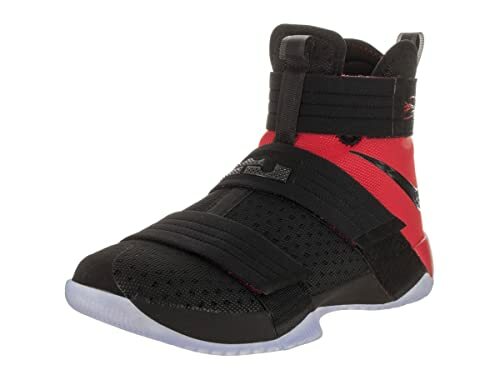 Even if you are coming from other tabs where we have listed Best shoes for Wide Feet, Best shoes for ankle support, and or Best shoes for Forwards, the LeBron Soldiers X will make sure you are covered in all aspects and are ready for take-off, and especially for the flat-feet players. The Nike LeBron Soldier 10s are available in pink, blue, red, white, black and various other colorways. The price is very reasonable and in terms of performance and safety, specifically for the Flat-footed athletes, you can be sure Nike’s Biggest ambassador’s series will be taking good care of you. Fit for the King. Fit for you! The best basketball shoes out there today for Flat-fleet players. A comfortable upper body. The cushioning is flexible. The traction is competitive with any other shoe in the market. You have the flat-feet, why wouldn’t you want the most comfortable and performing pair of basketball sneakers? The Heel and forefoot Zoom Air units deliver responsiveness, so your feet does not end up stinking, and at the same time it is cushioned with great balance and security. The fitting is one of the best if not the best. Did we already mentioned the Hyperdunks are one of the most popular basketball shoes in the world today? We can thank Kobe Byrant for that! You can find various colorways like the Hyperdunk 2016 white, black, blue, etc. You can also select from the model range like the Hyperdunk 2016 low, elite, mids, and flyknit. TO CONCLUDE: As we know, you either have flat feet or you don’t. Even if you do have flat feet there are two types within. The Mobile and the Rigid. The mobile foot forms and archThere are two basic types of flat feet – mobile and rigid. The mobile flat foot procedures an arch with the toe standing and the rigid foot stays in its typical plane position with the same toe upended maneuver. The rigid flat foot does not grip shock as well as the foot with a “regular” arch, and the loss of shock absorption is well-thought-out as a menace by some. So a flat foot basketball player may benefit from a shoe that has some constructed in energy riveting qualities. On a separate note, you can see some of the famous athletes with flat feet. A few examples, American mile runner Alan Webb. Ethiopian runner Haile Gebrselassie. The famous Moroccan track and field sprinter Said Aouita. Former NBA athlete and champion, Shane Battier. And one of the most famous athletes and also who’s basketball shoes are all over Dunkfeed.com, Kevin Durant.